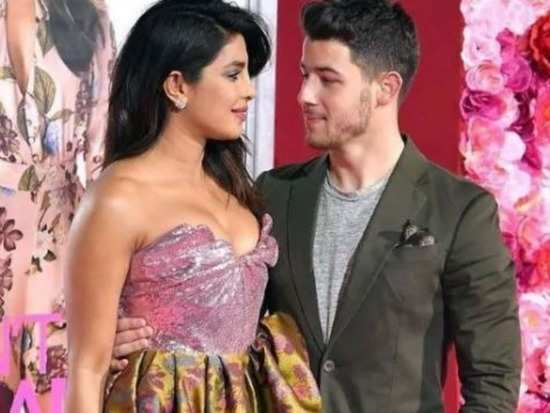 Priyanka Chopra and Nick Jonas are two stars who have always been in the limelight for their spectacular skills and their humanitarian services. However, as of now, the couple keeps making headlines because they keep setting couple goals for just about everyone. Despite their hectic schedules the couple is often seen spending time with each other and their adorable moments caught on camera take hardly any time to go viral. Priyanka was recently asked about her Valentine's Day plans post-marriage. The 36-year-old said, "I'm going to be in London, because Nick is going to be working in London so I am going in for two days to hang out." She also added that she doesn't think that you need one particular day to show your love towards someone and also said that Nick is extremely, "thoughtful and sweet all the time". She added, "I'm not a believer that you need a day to tell someone you love them, but it's always nice to hear it. We didn't put too much pressure on it." "We're not supposed to be together this Valentine's Day because I was working in LA and he in London, but things moved so I am glad we can spend that time together... The pressure does not exist - he's thoughtful and sweet all the time," she added. Well, we certainly are glad that these two lovebirds will get to spend some quality time together on Valentine's Day. Stay tuned for more updates.